Sikkim is a northeastern state of India. It borders China in its north and east, Bhutan in its east, Nepal in its west and the Indian state of West Bengal in its south. Sikkim is also located close to the Siliguri Corridor near Bangladesh. Sikkim is the least populous and second smallest among the Indian states. A part of the Eastern Himalaya, Sikkim is notable for its biodiversity, including alpine and subtropical climates, as well as being a host to Kanchenjunga, the highest peak in India and third highest on Earth. Sikkim's capital and largest city is Gangtok. Almost 35% of the state is covered by the Khangchendzonga National Park. Sikkim accounts for the largest share of cardamom production in India, and is the world's second largest producer of the spice after Guatemala. Sikkim has the highest share of agricultural land dedicated to organic farming in India. It is also among India's most environmentally conscious states, having banned plastic water bottles and styrofoam products. The most widely accepted origin theory of the name Sikkim is that it is a combination of two Limbu words: su, which means "new", and khyim, which means "palace" or "house". The name is believed to be a reference to the palace built by the state's first ruler, Phuntsog Namgyal. The Tibetan name for Sikkim is Drenjong (Wylie-transliteration: ´bras ljongs), which means "valley of rice", while the Bhutias call it Beyul Demazong, which means '"the hidden valley of rice". The Lepcha people, the original inhabitants of Sikkim, called it Nye-mae-el, meaning "paradise". 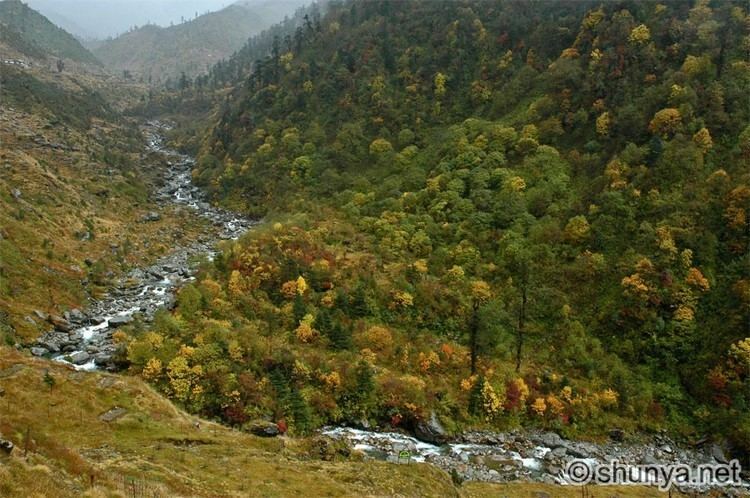 In historical Indian literature, Sikkim is known as Indrakil, the garden of the war god Indra. Sikkim became a British protectorate in the later decades of the 19th century, formalised by a convention signed with China in 1890. Sikkim was gradually granted more sovereignty over the next three decades, and became a member of the Chamber of Princes, the assembly representing the rulers of the Indian princely states, in 1922. Prior to the Indian independence, Jawaharlal Nehru, as the Vice President of the Executive Council, pushed through a resolution in the Indian Constituent Assembly to the effect that Sikkim and Bhutan, as Himilayan states, were not 'Indian states' and their future should be negotiated separately. A standstill agreement was signed in February 1948. Meanwhile, the Indian independence and its move to democracy spurred a fledgling political movement in Sikkim, giving rise to the formation of Sikkim State Congress (SSC). The party sent a plate of demands to the palace, including a demand for accession to India. The palace attempted to defuse the movement by appointing three secretaries from the SSC to the government and sponsoring a counter-movement in the name of Sikkim National Party, which opposed accession to India. A state council was established in 1953 to allow for constitutional government under the Chogyal. 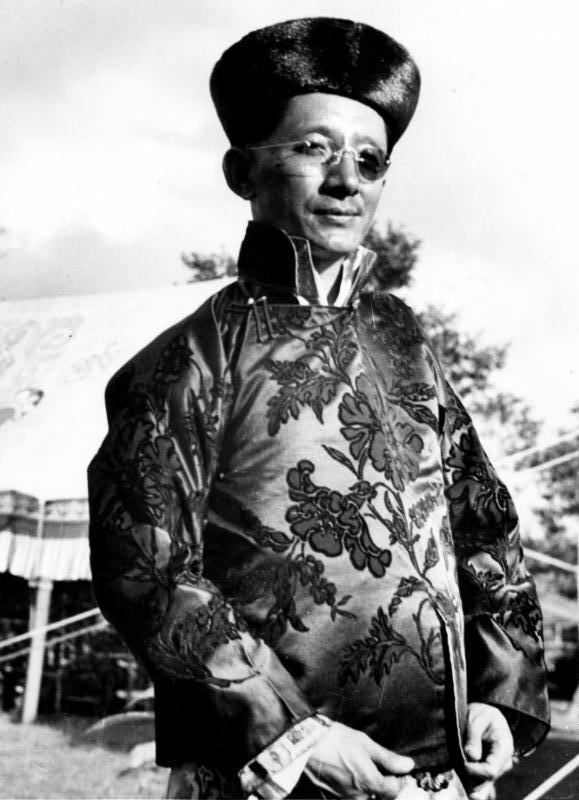 Despite pressures from an India "bent on annexation", Chogyal Palden Thondup Namgyal was able to preserve autonomy and shape a "model Asian state" where the literacy rate and per capita income were twice as high as neighbouring Nepal, Bhutan and India. Meanwhile, the India-backed Sikkim National Congress demanded fresh elections and greater representation for Nepalis in Sikkim. People marched on the palace against the monarchy. In 1973, antiroyalist riots took place in front of the Chogyal's palace. In 1975, the Prime Minister of Sikkim appealed to the Indian Parliament for Sikkim to become a state of India. In April of that year, the Indian Army took over the city of Gangtok and disarmed the Chogyal's palace guards. Thereafter, a referendum was held in which 97.5 per cent of voters supported abolishing the monarchy, effectively approving union with India. India is said to have stationed 20,000–40,000 troops in a nation of only 200,000 during the referendum. On 16 May 1975, Sikkim became the 22nd state of the Indian Union, and the monarchy was abolished. To enable the incorporation of the new state, the Indian Parliament amended the Indian Constitution. First, the 35th Amendment laid down a set of conditions that made Sikkim an "Associate State", a special designation not used by any other state. A month later, the 36th Amendment repealed the 35th Amendment, and made Sikkim a full state, adding its name to the First Schedule of the Constitution. Nestling in the Himalayan mountains, the state of Sikkim is characterised by mountainous terrain. Almost the entire state is hilly, with an elevation ranging from 280 metres (920 ft) to 8,586 metres (28,169 ft). The summit of Kangchenjunga—the world's third-highest peak—is the state's highest point, situated on the border between Sikkim and Nepal. For the most part, the land is unfit for agriculture because of the rocky, precipitous slopes. However, some hill slopes have been converted into terrace farms. In 1975, after the abrogation of Sikkim's monarchy, the Indian National Congress gained a majority in the 1977 elections. In 1979, after a period of instability, a popular ministry headed by Nar Bahadur Bhandari, leader of the Sikkim Sangram Parishad Party, was sworn in. Bhandari held on to power in the 1984 and 1989 elections. In the 1994 elections, Pawan Kumar Chamling of the Sikkim Democratic Front became the Chief Minister of the state. Chamling and his party have since held on to power by winning the 1999, 2004, 2009 and 2014 elections. Currently, the Governor of Sikkim is Shriniwas Dadasaheb Patil. Sikkim has four districts – East Sikkim, West Sikkim, North Sikkim and South Sikkim. The district capitals are Gangtok, Gyalshing, Mangan and Namchi respectively. These four districts are further divided into subdivisions; Pakyong and Rongli are the subdivisions of the East district, Soreng is the subdivision of the West district, Chungthang is the subdivision of the North district and Ravongla is the subdivision of the South district. Sikkim's nominal state gross domestic product (GDP) was estimated at US$1.57 billion in 2014, constituting the third-smallest GDP among India's 28 states. The state's economy is largely agrarian, based on the terraced farming of rice and the cultivation of crops such as maize, millet, wheat, barley, oranges, tea and cardamom. Sikkim produces more cardamom than any other Indian state, and is home to the largest cultivated area of cardamom. Because of its hilly terrain and poor transport infrastructure, Sikkim lacks a large-scale industrial base. Brewing, distilling, tanning and watchmaking are the main industries, and are mainly located in the southern regions of the state, primarily in the towns of Melli and Jorethang. In addition, a small mining industry exists in Sikkim, extracting minerals such as copper, dolomite, talc, graphite, quartzite, coal, zinc and lead. Despite the state's minimal industrial infrastructure, Sikkim's economy has been among the fastest-growing in India since 2000; the state's GDP expanded by 89.93 per cent in 2010 alone. In 2003, Sikkim decided to convert fully to organic farming statewide, and achieved this goal in 2015, becoming India's first "organic state". 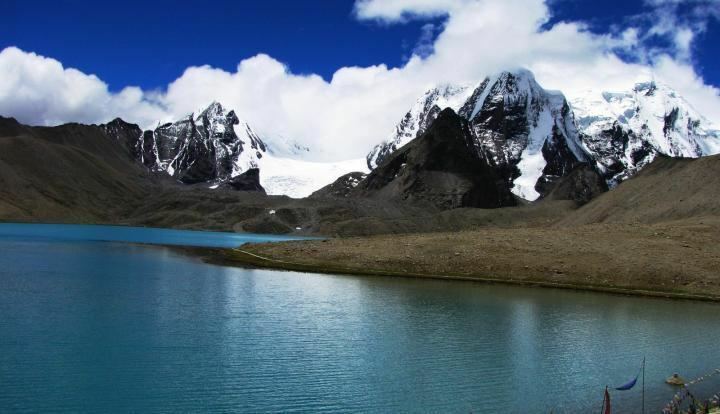 In recent years, the government of Sikkim has extensively promoted tourism. As a result, state revenue has increased 14 times since the mid-1990s. Sikkim has furthermore invested in a fledgling gambling industry, promoting both casinos and online gambling. The state's first casino, the Casino Sikkim, opened in March 2009, and the government subsequently issued a number of additional casino licences and online sports betting licenses. The Playwin lottery has been a notable success in the state. Sikkim currently does not have any operational airports or railheads because of its rough terrain. However, Pakyong Airport, the state's first airport, located at a distance of 30 km (19 mi) from Gangtok, is expected to become operational in March 2017, after its completion was delayed from the original target of 2014. It is being constructed by the Airports Authority of India on 200 acres of land. At an altitude of 4,700 feet (1,400 m) above sea level, it will be one of the five highest airports in India. The airport will be capable of operating ATR aircraft. As of 2015, the closest operational airport to Sikkim is Bagdogra Airport, near the town of Siliguri in West Bengal. The airport is located about 124 km (77 mi) from Gangtok, and frequent buses connect the two. A daily helicopter service run by the Sikkim Helicopter Service connects Gangtok to Bagdogra; the flight is thirty minutes long, operates only once a day, and can carry four people. The Gangtok helipad is the only civilian helipad in the state. National Highway 31A and National Highway 31 link Siliguri to Gangtok. Sikkim National Transport runs bus and truck services. Privately run bus, tourist taxi and jeep services operate throughout Sikkim, and also connect it to Siliguri. A branch of the highway from Melli connects western Sikkim. Towns in southern and western Sikkim are connected to the hill stations of Kalimpong and Darjeeling in northern West Bengal. The state is furthermore connected to Tibet by the mountain pass of Nathu La. Sikkim lacks significant railway infrastructure. The closest major railway stations are Siliguri and New Jalpaiguri in neighbouring West Bengal. However, the New Sikkim Railway Project has been launched to connect the town of Rangpo in Sikkim with Sevoke on the West Bengal border. The five-station line is intended to support both economic development and Indian Army operations, and was initially planned to be completed by 2015, though as of 2013 its construction has met with delays. In addition, the Ministry of Railways proposed plans in 2010 for railway lines linking Mirik to Ranipool. Hinduism is the state's major religion and is practised mainly by ethnic Nepalis; an estimated 57.8 per cent of the total population are adherents of the religion. There exist many Hindu temples. Kirateshwar Mahadev Temple is very popular, since it consists of the chardham altogether. Sikkim's Nepalese majority celebrate all major Hindu festivals, including Diwali and Dussera. Traditional local festivals, such as Maghe Sankranti and Bhimsen Puja, are also popular. Losar, Loosong, Saga Dawa, Lhabab Duechen, Drupka Teshi and Bhumchu are among the Buddhist festivals celebrated in Sikkim. During the Losar (Tibetan New Year), most offices and educational institutions are closed for a week. Sikkimese Muslims celebrate Eid ul-Fitr and Muharram. Christmas has also been promoted in Gangtok to attract tourists during the off-season. Western rock music and Indian pop have gained a wide following in Sikkim. Indigenous Nepali rock and Lepcha music are also popular. Sikkim's most popular sports are football and cricket, although hang gliding and river rafting have also grown popular as part of the tourism industry. Noodle-based dishes such as thukpa, chow mein, thanthuk, fakthu, gyathuk and wonton are common in Sikkim. 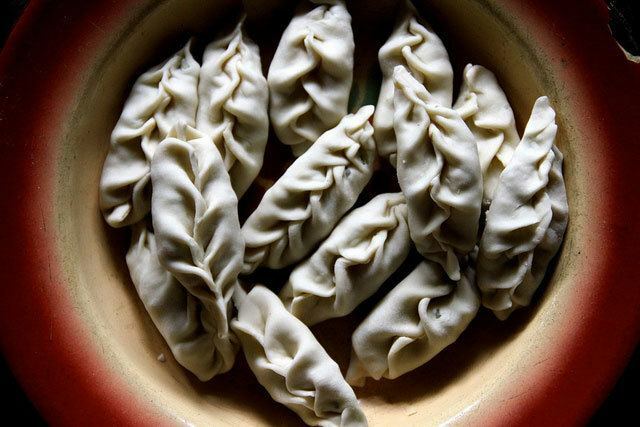 Momos – steamed dumplings filled with vegetables, buffalo meat or pork and served with soup – are a popular snack. 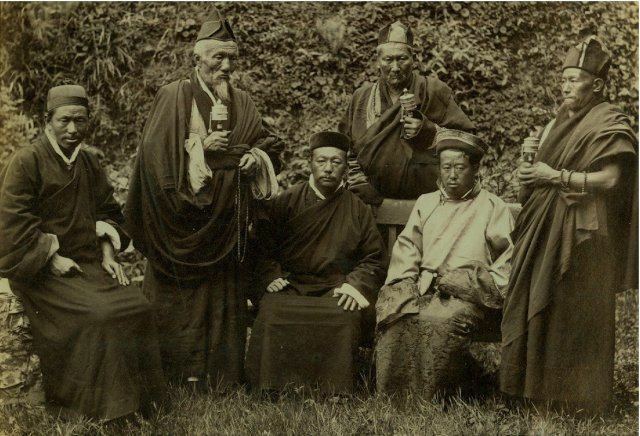 Beer, whiskey, rum and brandy are widely consumed in Sikkim, as is tongba, a millet-based alcoholic beverage which is also popular in Nepal and Darjeeling. Sikkim has the third-highest per capita alcoholism rate amongst all Indian states, behind Punjab and Haryana. The southern urban areas of Sikkim have English, Nepali and Hindi daily newspapers. Nepali-language newspapers, as well as some English newspapers, are locally printed, whereas Hindi and English newspapers are printed in Siliguri. Important local dailies and weeklies include Hamro Xa Xa Prajashakti (Nepali daily), Himalayan Mirror (English daily), the Samay Dainik, Sikkim Express (English), Sikkim Now (English), Kanchanjunga Times (Nepali weekly), Pragya Khabar (Nepali weekly) and Himalibela. Furthermore, the state receives regional editions of national English newspapers such as The Statesman, The Telegraph, The Hindu and The Times of India. Himalaya Darpan, a Nepali daily published in Siliguri, is one of the leading Nepali daily newspapers in the region. The Sikkim Herald is an official weekly publication of the government. Online media covering Sikkim include the Nepali newspaper Himgiri, the English news portal Haalkhabar and the literary magazine Tistarangit. Avyakta, Bilokan, the Journal of Hill Research, Khaber Khagaj, Panda, and the Sikkim Science Society Newsletter are among other registered publications. In 2011, Sikkim's adult literacy rate was 82.2 per cent: 87.29 per cent for males and 76.43 per cent for females. There are a total of 1,157 schools in the state, including 765 schools run by the state government, seven central government schools and 385 private schools. Twelve colleges and other institutions in Sikkim offer higher education. The largest institution is the Sikkim Manipal University of Technological Sciences, which offers higher education in engineering, medicine and management. It also runs a host of distance education programs in diverse fields. There are two state-run polytechnical schools, the Advanced Technical Training Centre (ATTC) and the Centre for Computers and Communication Technology (CCCT), which offer diploma courses in various branches of engineering. ATTC is situated at Bardang, Singtam, and CCCT at Chisopani, Namchi. Sikkim University began operating in 2008 at Yangang, which is situated about 28 kilometres (17 mi) from Singtam. Many students, however, migrate to Siliguri, Kolkata, Bangalore and other Indian cities for their higher education.